I thought I’d take a break from proofreading my book, and answer this super important question you may have googled: Do vampires have souls? It depends on whose vampires you are talking about. The original vamps were basically dead people who walked around and got into all sorts of trouble. Blood drinking was only a part of it. They returned to sleep in their coffins though how they managed to get in and out is a mystery. 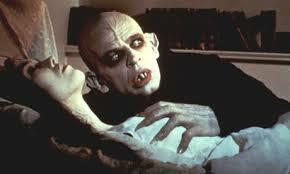 In any case because people who believe in souls believe that the soul leaves the body at death and vampires generally “die” before they wake up vamp, then vampires have no souls. Where do the souls go?